It often happens that the air conditioner in the house is neglected until the day you notice no cool air coming from it. This is usually during the hot days of summer, when your AC unit is most needed. You try to crank down the settings to force some cool air, but nothing. Your air conditioner is broken and you need a qualified HVAC contractor to fix it (or replace the broken AC unit with a new, efficient model). On the outside, this is where you are likely to find the other two main components of an air conditioner. These are the compressor and the condenser. The former is the heart of the system which pumps refrigerant throughout the unit. It is this flow that gives the air conditioner its cooling ability. If this flow is restricted, cooling is affected. The latter is where the heat taken by air from your room is taken out into the surroundings. If you have tried to put your hand into the air coming out of the condenser, you will notice that it is hot. It should be. If not, then there are problems to the unit. 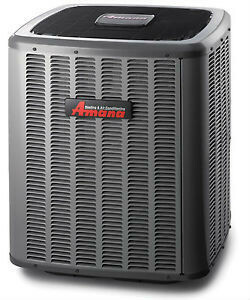 Problems to these two units usually require Las Vegas air conditioning repairs.